← Blog Hop Details – Blog Hop Starts at Noon on Friday, July 1! Looking forward to seeing all the creations for this blog hop! yay! off to do some hopping. And I’m off! So excited to see some new blogs! Thanks ladies for organizing! This is very exciting. I can’t wait to be inspired by all you young crafters! I am a young crafter as well! Thanks for hosting & for helping with the process (my first time participating!). Can’t wait to check out each blog!! Here I go…. Having fun and loved all the creations I have seen so far.. Will continue tomorrow…!! Wow! This was a lot of fun. Thanks for the chance to win…Hopping hop hop …. This looks like the longest hop I’ve ever seen. I love the Paper Smooches stamps! Fantastic hop ladies, thanks for putting it together. Wow, 65 blogs!! I know where the rest of my evening is going! Looking forward to seeing all the art. very successful hop! FYI, michele (whimsicalcreations.blogspot.com) doesn’t connect to kathy like the list says she should…..
Wow, 11:12 pm but I did it:) I visited all the blogs and left everyone some love. One of the blogs would not allow me to leave a comment. I am sorry I cannot remember which one it was. You ladies did an amazing job!! I am happy to be a part of this blog hop with you. WOW! This is quite the hop! I hope I am able to get through it all, we are in the middle of packing to move, otherwise I would have been a participant too! Look forward to seeing what everyone has created! Thank you so much for hosting the blog hop. Oooh! Simon says stamp sell lots of things I’d like to buy! And on my list is a lawn fawn set of stamps- fab prizes. Such a variety of posts on the longest blog hop I’ve ever seen- well done all of you. It took me two days, but I made it the whole way through all 65 blogs! And I’m so glad I did. I caught up with some old friends and made some new ones and came away so inspired! What a great community of crafters we have out there. Thanks so much, Britta and Marie, for heading this up! Thanks Marie & Britta once again. I enjoyed my first hop here. It was very inspiring. can,t wait to jump in! Wow, what an amazing array of eye candy! Thanks for organising it! I had a fantastic time hopping on this fun blog hop. So fun seeing so many styles and lots of great inspiration and super ideas. Thanks for organizing this!! This was such a great blog hop! 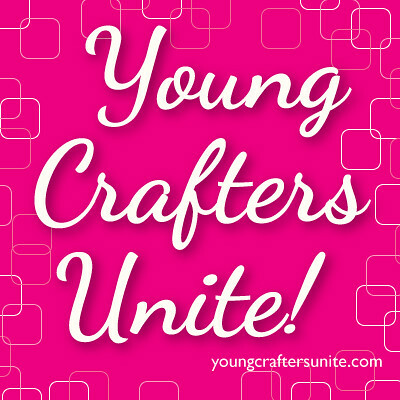 Lots of fabulous inspirations and awesome “young” crafters. Great job on organizing this! I am hopping along but realizing it might’ve been easier to leave word verification off for each person’s post? Can’t wait to see the rest of the fabulous creations … back to hopping! :) And happy long weekend! Thanks for putting the hop together–there are some amazingly talented young crafters here! Thats alot of hopping….hope I make it to the end ! Woohooo – I hopped all the way through… LOVED everything – wow what talent!!! Thanks to those that organized this, it was fun! Thanks for organising everything, Brit and Marie! So excited for this blog hop! There are some great crafters on the hop and great prizes too! Hope I can make it through such a long list of bloggers. I’m going to try. Thanks for the inspiration. On your mark, get set….blog hop. I made it though the hop and I feel very young now with all the new ideas in my head! Found this from Jennifer McGuire’s blog! Excited to “hop” through the list and see all the creativity!